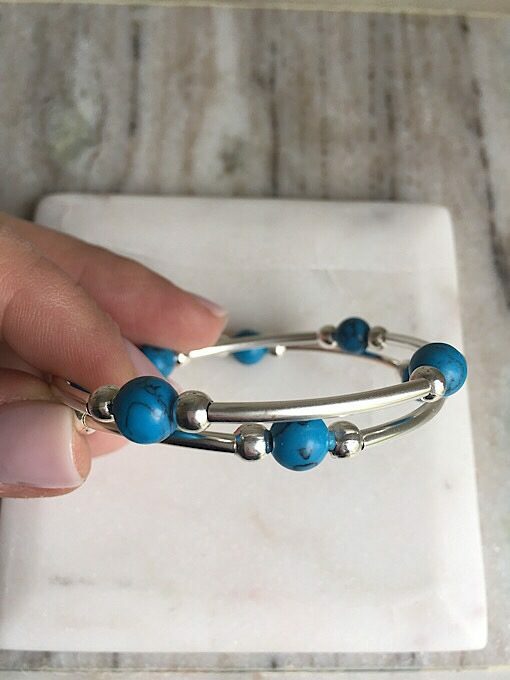 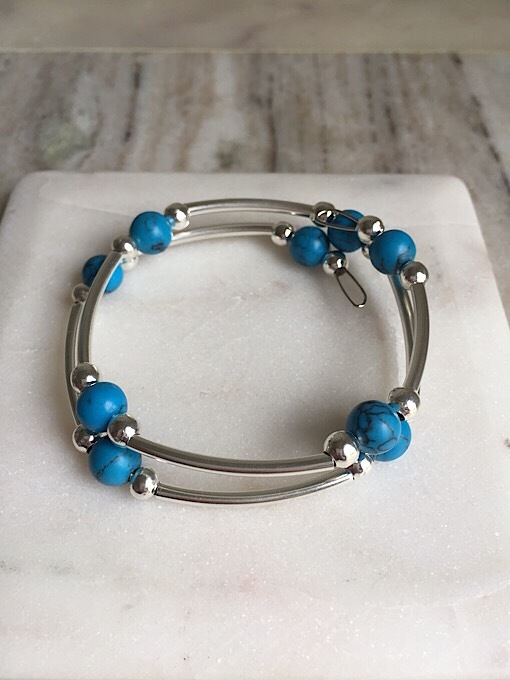 Bright blue Howlite beads, silver plated tube beads and spacer beads designed on memory wire. 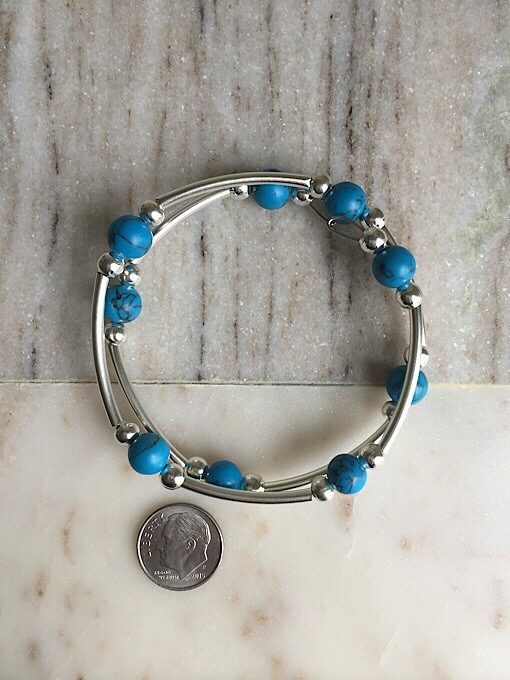 One size fits most wrists 6-7.75 inches. 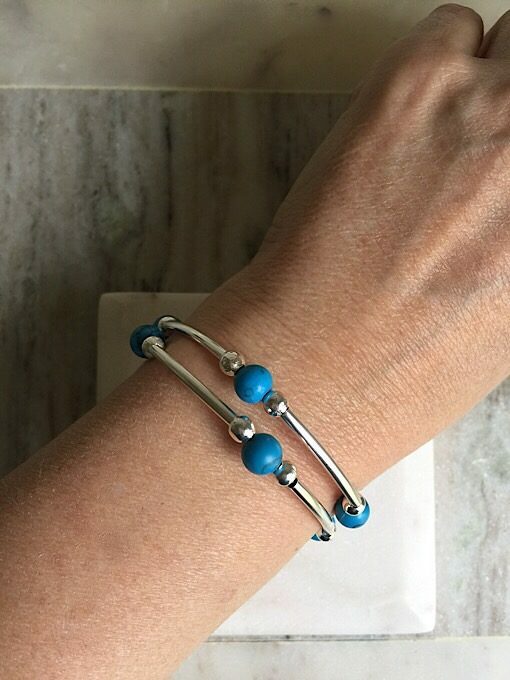 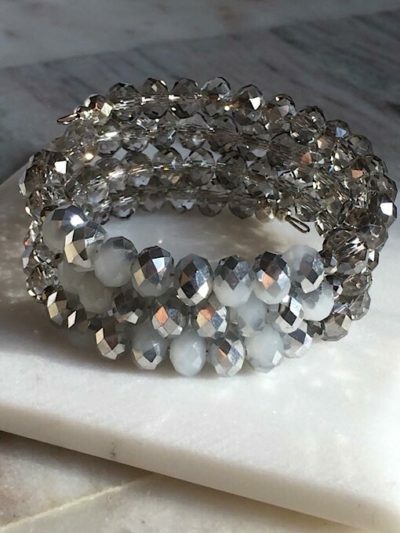 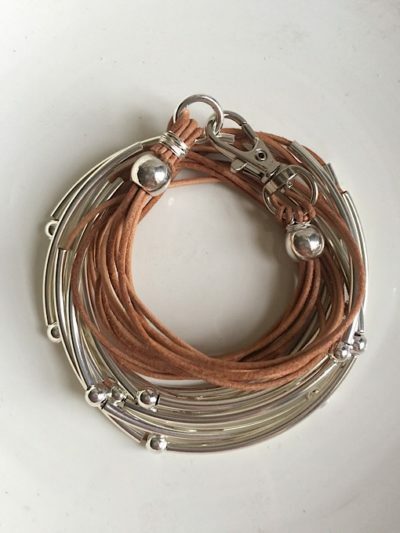 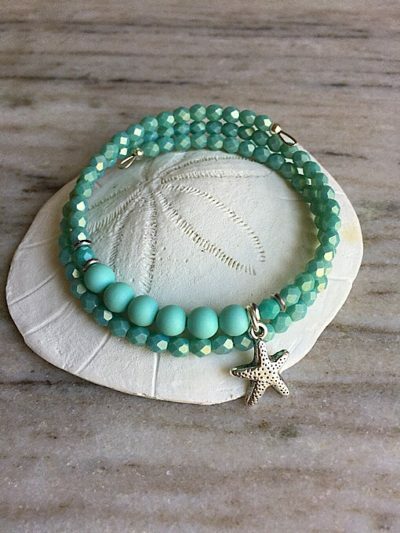 You can wear it on its own or you can double it up with the other fun bracelets. 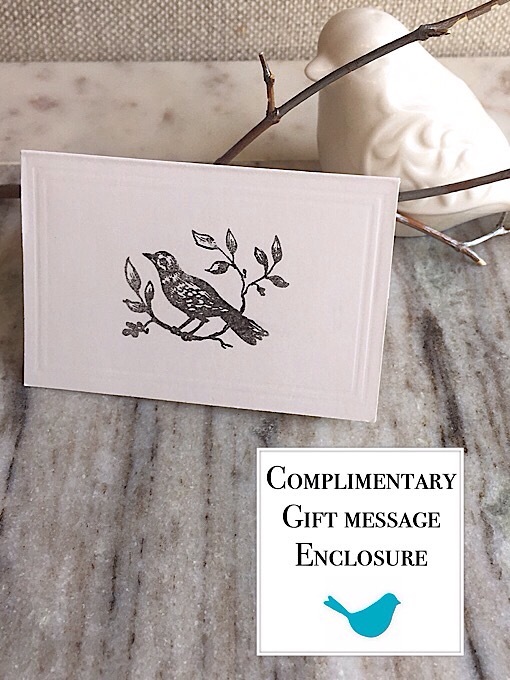 If needed a complimentary gift enclosure card is available at checkout step.